These monogram letters will take your projects up a notch by embellishing them with applique. 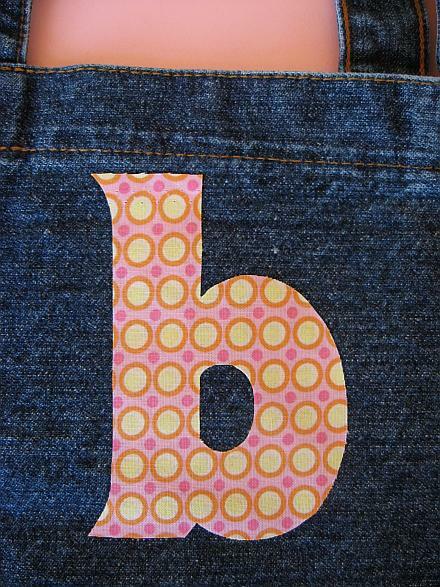 Printable letters make applique easy! Pieces of decorative fabric are attached to another piece of fabric with decorative stitching. I made one of these monogrammed totes for a little birthday gift and it was quick and easy. You can even include a coordinating crayon roll. I purchased the totes awhile ago (okay years ago and found them in the “great craft room clean-up”). Find similar totes at large craft stores. Use this machine applique technique to embellish t-shirts, onesies for babies, aprons etc. No worries if you can’t find a premade tote bag. I have a step by step tote bag tutorial. Making a tote is a super easy sewing project. It just a few easy steps you can embellish a variety of projects. You won’t believe how easy it is! I use interfacing to make monogramming simple. 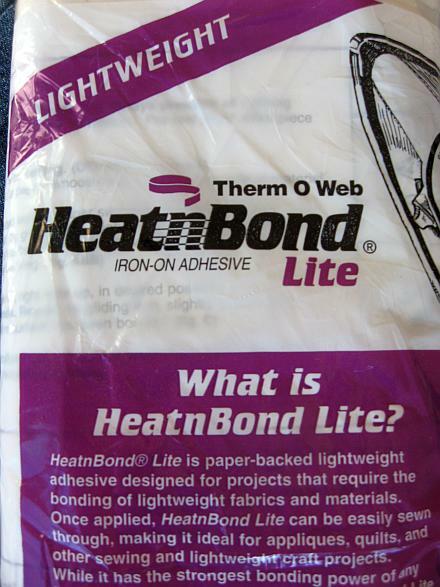 HeatnBond lite is an two-sided iron-on interfacing that has a paper backing on one side. You can use any shape but I used these printable letters. Each link below has the upper and lowercase letter. Click, download and print the free printable alphabet stencils templates. They are perfect to cut out for a template. It makes tracing letters a breeze. Here are three different types of applique that you can use to monogram your projects with these letters. For this project, I am using a technique called straight stitch applique. It is the simplest method and easily dressed up any project. Once washed the edges of the fray can fray giving texture and interest. 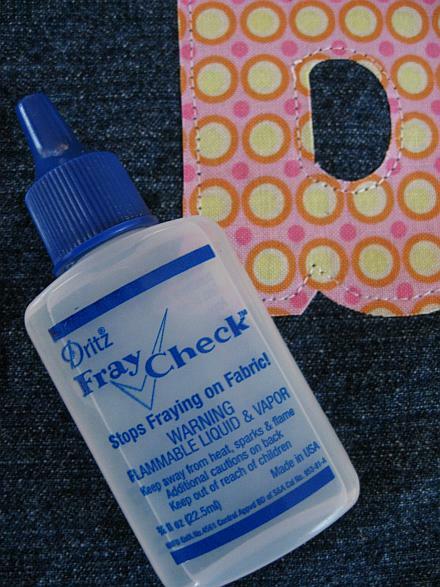 No worries if you don’t like that I show you what product to use to prevent fraying below. Another example of the straight stitch without interfacing is on this birthday hat. These monogram letters could also be zig-zag appliques. This technique keeps the edge of the fabric from fraying. The stitch length on the sewing machine can be adjusted to sew a wide zigzag or close together to make a satin stitch. I think reverse applique gives a wow. I think it is especially great for felt projects. You can see how I used reverse applique for this birthday crown. Trace your letter onto the paper (smooth) side of the HeatnBond Lite. The letter must be reversed. Following the HeatnBond instructions, iron it to the wrong side of the fabric that you want to applique to the tote. Cut out the letter and peel off the paper. There is now adhesive on the back (wrong) side of the letter. Flip the letter over and it is ready to go. Again following package instructions, iron your letter to the tote bag. Keep the letter towards the top so you are able to easily sew with the sewing machine. Machine stitch around the letter. You can also hand stitch around the letter. A blanket stitch looks cute! I used fray check around the edges to keep the fabric from fraying. You might decide to let the edges fray—–it looks good too! Finished! It is so quick and you have a really useful gift. These monogram letters could be used to monogram towels, shirts, blankets. The possibilities are endless. I hope you will give it a try. Let me know if you have any questions. Thank you for sharing the monograms and tutorials! Just came across your site, Cindy, and love it. I was searching for letter patterns that I could print off to use. I did print them off, thank you. I have been sewing all of my life. In fact, I work at Joann Fabrics in Tulsa. I came across an idea recently that I want to share with you, unless you already know about it. It's called a "Cookie Plate Crumb Catcher." Basically, it is small place mat for a child. They used a quilt block but I think it would be neat to use a fun print for the mat and/or the letter. Again, thank you for sharing in your site. Thanks so much, these are great and have so much personality. Thanks Judy! I am so glad you like the monogram letters. Rena, look at the list under printable applique letters. Each letter is a link. Click on that link and the letter should open them up and print. Please let me know if you need help. Do you have the symbols. I need an apostrophe. Please send the simple applique monograms set. This was just great. Happy to have come across it in my emails.....will be using this for all the upcoming birthdays!!!! Have 5 little girls, 1 little boy and now need something for the 3 big boys. Thank you so much for the letters. May God Bless You and your Family. Thank you Cindy! I can't tell you how much I will use these letters! Again , thank you! Thank you so much...these are great for my current project. Thank you for sharing. You wouldn't happen to have numbers would you? Thanks again. your detailed instructions - You're great !!! Jennifer I bet that turned out super cute! 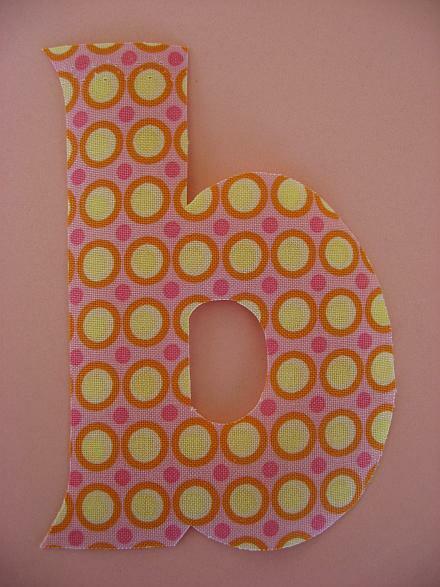 Awesome letters for applique... Thank you so much. Do you have the numbers and symbols also? I am adding a date to a project and need the "and" sign. Hi Yvonne, The entire is included. Just click the links above. Hi I love your letters as am currently making some bunting for charity. Please would it be possible to have all the letters both lower and upper case on sheets. So that I can print them out as I am using a hudl and it is proving to be a bit of a challenge. Each letter has upper and lower case on the sheet. Each sheet has upper and lowercase letters. Click on the link for the individual letter and it will have both upper and lowercase. I love your applique letters and if it's not too much trouble I would love to have a set of upper and lower case letters , approx. 2 1/2 or 3 inches high. I'm making a personalised beach bag for my granddaughter. You could reduce them to the size you need on a copy machine. That way you get exactly what you want. Each link for the letters has both upper and lowercase. Hi Leanne, The letter "V" is above. Let me know if you have any questions. Thank you so much for sharing. If possible I would love to have a copy of the upper and lower case letters. I've been looking for the chinky look and these are perfect! I'm trying to make some birthday gifts for my grandchildren and these look like the size I'm looking to use. Thank you for making your letters available. You are making my late night sewing project easier and better! May I please have them all?? I am making quilts for grandchildren and would like to personalize them. Thank you!!! Hello I wondered if you would be able to provide the templates for all the alphabet in upper and lower case? I would like the letters Violet to put a name on a quilt. If you have a capital V that would be great, if not the lower case is fine. Thank you, and your project is really cute! Great idea! Thank you so much for sharing the patterns for the letters. They are perfect for the playmat i'm currently quilting. These letters are great, thanks for sharing!! Love the Letters... absolutely what I was looking for. Thanks a bunch for sharing you talent! I would like capital and small case letters. Do you have both? AvaLee Josephine. If you do not have the lower case letters, I would like all of the upper case letter to use for other projects. What size are these, I would like about a 2 1/2 to 3 inch letters. Thank you for sharing your tutorial and letters! I am so excited to use your alphabet templates on my daughters' presents for Christmas. Thank you so much for sharing !!!!!! E T H A N. I need them to be about 4inches tall if possible. Love your site. Thanks. I just purchased a two room schoolhouse built in 1900. It's chalkboards are still in great condition. I remember when I was a kid coming into each school year, the teachers would have the alphabet above the chalkboard. I am going to make quilted alphabets to put above the chalkboards in each room. Thanks for sharing your letter templates. I would like the following letters, please. If it's easier for you to send the entire alphabet, I'd be happy to have them. Thank you so much for the template letters, I am making things to raise money for our Church. Going to try some cushions. I do love the shape of the small letters they would be good in the larger size!! Hi, love your letters and would like the whole alphabet to spell out my grandkids names. Thanks for the great tutorial! Can I ave the whole alphabet please? Thanks for sharing with us. Thank you for sharing your lettering! This is my first attempt to applique! Thank you again, so much!!! I would like to applique my youngest GrandSon's name of the Shopping Cart Cover that I made him. Is there a way to adjust the size of the lettering? I love how easy you make this look! 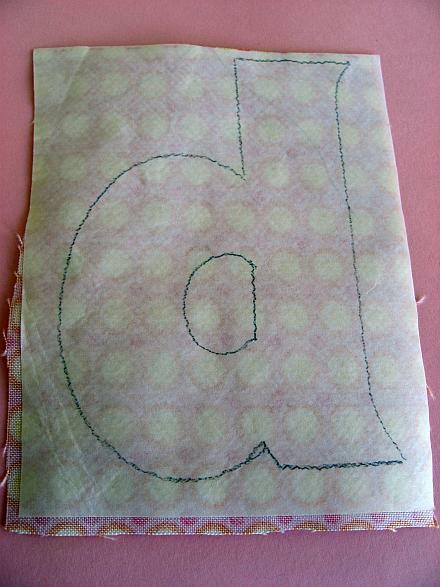 I would like the letter g so I can use it for a bib I am trying to make for a bib. Can you tell me the sizes you have on this? I would like the whole alphabet if possible. I am thinking about making the alphabet for my Grand daughters. Thank you very much for sharing with us. might make a quilt also. What a great site. I, too, am retired and love crafting! Have lots of ideas for using your letters--would it be possible to send me all of them? Thank you so much! You are so kind to share the alphabet templates for applique. I plan to make a bunting (banner) for all the seasons to hang along my fireplace mantle and for special occasions. 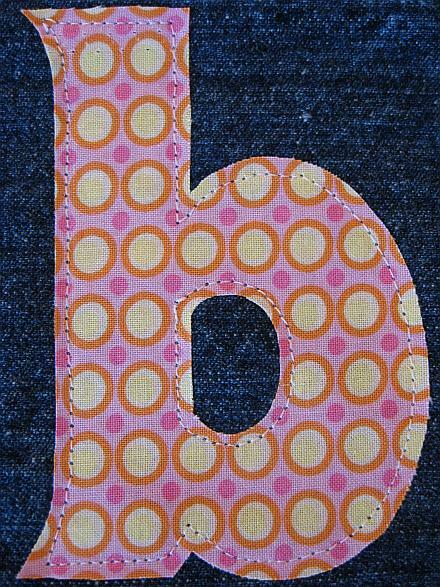 I resized the letters "B" "A" "B" "Y" to make puffy letters on a baby quilt as one of my baby shower gifts and it's awesome. Wish you could see it. Thank you. I'm making quilt for my great grandson. I will need the letters Luke. Thank you so much. I needed letters for a banner I'm having the class I am a substitute in make for their returning teacher after she had a baby. Your letters were the right size. I am new ti applique and saw your letters. I love them! How can I get them? I will be glad to pay for them. I would love all the letters please:) Thanks!!! tHANK YOU VERY MUCH FOR SHARING THIS nice WORDS.... VERY KIND OF YOU. I need to know if I can use my siluette cameo for cut them. Thanks so much!! I am using the letters to personalize my shirt. This is so helpful! Thank you for sharing! I needed all the letters, I am attempting to make a wall hanging for my sons confirmation class. Thanks again! I am using the letters to personalize a quilt back for my grand daughters graduation--Thanks--Blessings to you! Great site! I am needing the letter "T" how can I resize? Thanks in advance! I'm very interested in downloading the letters but its not letting me please help. I don't mind numbers too. Thank you so much for posting these-the Bs were perfect! Thank you so much for sharing your letter templates...I am new at using appliques and this has made it much simpler. Again, thank you. our new puppy Sadie. Thank you so much! Making a Christmas runner using your letters to spell "Joy" at the ends of the runner. I think it will be a great addition to my project. Thank you so much for sharing your letters! This is my first attempt at a monogram and I appreciate your instructions!! and I am taking a look ahead to touch you. Will you please drop me a mail? Can these letters be made in any size? And will this work on wood if I use the adhesive on the material? Thanks for sharing your letters. I am using them for my first attempt at making wedding bunting for my daughters upcoming wedding. but your sites reeally nice, keep it up! I'll go ahead and bookmark your site to come back later. THANK YOU SO MUCH!!! the letters are PERFECT!!! I am getting started doing this type of thing and these letters are JUST what I was looking for! Thank you so much for the use of the letters. They are perfect! I wonder if you have a set of the numbers that you also could share??? I would like the following letters: a,b,e,g,h,i,m,o,r,s,t and the apostrophe (if you have one). Thanks so much! Any suggestions for keeping appliqued feeling smooth and soft on a pillowcase for a child? Love the templates! I would like to size them bigger. Need K, M, L, B, H. Can I resize them myself? I need them about 8 inches tall. Thankyou for your alphabet letters they look amazing on the quilt i just finished for my first granddaughter. Do you have the numbers to download so i could put the date on a pillow i am doing? THANK YOU! THANK YOU! For Not only Great Ideas, But Great Free Patterns Too! I Happened Upon Your Tote Pattern And Now Have returned For Several Other Things!!!! Love Your Blog!!! The "Letters" are perfect to place on a Special Patient's hospital quilt. "Be Like Mike, Never Give Up. Every Day is a Gift!" 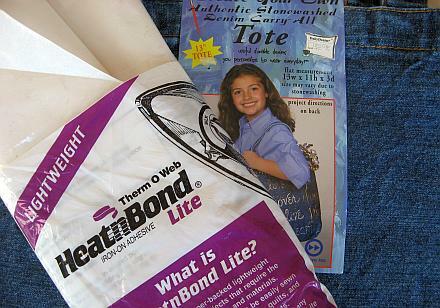 BTW I always use Heat N Bond. Thanks! Thank you so much for posting these letters. I have been using them to make appliqued towels as birthday gifts for my 4 daughters' friends. Everyone loves their towels, and this font is such a great font. I just wanted to say thank you! So happy Anne that you are enjoying the letter! Happy Sewing! Hi, I am having a baby shower for a friend and was wanting to make a bunting flag with the baby's name on, would you help me with the letters I require? This is all new to me:) Thank you in advance. The letters are Alfie Jack. These letters are just what I've been looking for to personalize the quilts I plan on making. I would love to have all of them, upper and lower case.. Thanks so much"
Is it possible to get all the letters? Many Thanks for the letter templates, they will be great for a quilt I am hoping to make. Thanks for the monogram template. Working on a blanket and needed the letters! Hello! I am so thankful you posted these! I am making coasters for my coworkers out of muslin with the first letter of their name appliqued on it, and these are perfect...I love your blog! Thank you so much for sharing these templates. I am going to use them to make a Christmas banner. Thanks for the letter templates! They were EXACTLY what I was looking for, I didn't want to mess up on free-hand painting my sign, I'm a first timer! Thank you so much! I am also having trouble resizing the letters that I need ( I am attempting to make matching t-shirts for my children and thier cousins to wear on Thanksgiving) I am putting accross the bottom of shirt sizes 12 mos - tyler other sizes, 4, 6, 8 & 10 (paul, evelyn , river & savannah) please advise... thanks again!! I need letters E,J,L,N, & R first, but I would like the whole alphabet. Thank you. Thank you so much. These letters are perfect for my next project. Yes, I too would love to have the letters! I would love to have all of the letters if possible. I make purses and totes for craft fairs and would love to be able to add initials. Thank you, I am making a quilted sign for my shop and needed easy letters to applique. Your letters are perfect. Great site. Thank you so much for posting these directions!! I'm working on a diaper bag and your instructions have been a lifesaver! I do have a question though. When do I put the fray check on? This is so cool - just what I needed to make a nice pillow for my sick friend. Thanks! Hi I love these letters Have never appliqued but am going to. Could you tell me how to applique letters onto a tshirt or pillowcase without going through to opposite side? I like to do the firetruck but cant figure out how to get pillowcase or tshirt to lay flat and only sew applique to top layer. Yes Iam a noobie. Thank you so much. I am making a banner for my Relay For Life Team and was getting frustrated with my embroidery machine,it is new and I am not sure yet how to use it correctly, and these applique letters are just what I need! Do you have numbers to coordinate with the alphabet? I have used some of the letters already --- love them! Thank you for these, We have one grand daughter (our son's baby)and I did a blanket for her but I didn't have a gender or name when I made it to send to the UK (we live in New Zealand). I want to do a blanket for our daughter now, who is expecting a grand daughter in August in Sydney, Australia. It will be similar to the one I sent to The UK, but I have a name now, so can applique her name on it. I have been exploring for a little bit for any high quality articles or blog posts on this sort of space . Exploring in Yahoo I ultimately stumbled upon this site. Studying this info So i'm glad to express that I've an incredibly just right uncanny feeling I found out exactly what I needed. I so much without a doubt will make certain to don?t fail to remember this website and give it a glance on a relentless basis. Thanks so much for publishing these templates. I don't have a Cricut machine so this is just what I needed to make a banner for my daughter's first birthday. This is great thank you. All the other letters I find are way too big. Do you have numbers too? Would it be possible for me receive all of the alphabets? I have just spent an afternoon looking for this...and your instructions are so easy to follow. When you are new to this it makes all of the difference in the world! These are just what I was looking for to make a superhero cape for my daughter! Thank you so much for posting these!! Love your appliqué letter. Found it difficult to get the lower case too. Would like the letters for Olivia and Caroline. Max, Caroline, Cate and Jake. Thank for the templates of the letters are great !!! I am interested in all the letters if you could please upload them for me. The letters are great! Do you have numbers that match this font? just wanted to let you know that I used your letters for a welcome banner for our daughter who is coming home after 6 months in Mexico. Thank you!!! Thanks so much for these!! They are so cute and will fit perfectly on the burp clothes I'm making for a friend. I LOVE these...thank you so much for sharing!! Is there any way to reduce the letters? I have 5 granddaughters, ages 3 months to 7 years, so I need a little smaller for the babies. I know I can do it myself by tracing inside...just trying to see if there was a way to do it on the computer. Thank you again! Thank you so much for the letters!! Just what I needed!! This alphabet is exactly what I was looking for. Thanks for sharing the patterns! Thank you for the alphabet! I've been looking for some good ones for my first applique of a 5 year olds personal lap quilt. Thanks again. Thanks for sharing, your awesome. Do you have numbers as well? I am making t-shirts for my 2nd grade team and need the number 2. Thank you! This applique alphabet is just what I've been looking for. And thanks so much for the instructions as well. Thank you! This applique alphabet is just what I have been looking for and also thanks so much for including the instructions . Thank you so much for sharing these. Do you have numbers to match? Just what I was looking for!!! Thanks so much for sharing this! You are one wonderful person !!! Thank you and blessing's for you and yours. I'm using these for appliqued onesies, they are exactly what I'm looking for. Thanks so much!! 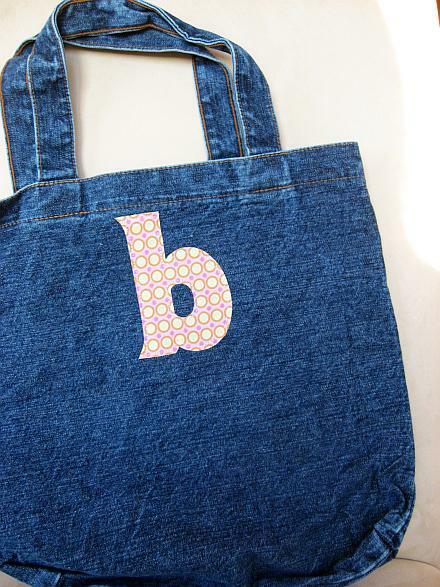 This alphabet is just great, I'm making personalised Bunting Banners and the size and style are perfect. thanks so much Rhonda Tasmania Australia. Hi, have a new great grandaughter and wanted to do some monogram stuff for her. Came up on this neat site! PLEASE help- I am not able to download the applique letters. I've tried to install one of the file to open the letters but still will not allow me to open them. Any help would be appreciated. I love this alphabet....is there a way to print the letters smaller? I used the percent button before I printed but each time they print the same full size. They look smaller on my monitor but still print out full size. Any suggestions? I need to use these in a smaller version. Please advise. Is there a way to make letters smaller? I was wanting to make a pillowcase with my grandson's name on it. Print was to large. Thanks for these letters - I just printed out several for a santa sack!! Doing a town celebration quilt. This made it so much easier! WOW! I am a beginner so simple instructions are necessary, you gave me just that. i appliqued for the first time and surely not the last. thank you so much! I love those I have been trying to figure out how to do it and you explained it so clear! your blog is great and very helpful for people who love to sew! Thanks for the templates. This is plan B of a B-Day quilt. Thanks so much! Thank you for the letters! I've been searching for something easy and simple without having to make an investment. Thank you for your generosity in posting this for free! 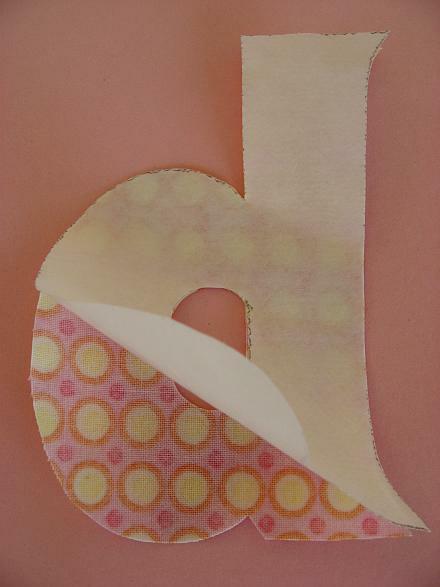 Thanks SOOOOO much for the easy letters for an applique quilt I'm making for my very 1st grandchild......Elia/Ellie. You have no idea how grateful I am for your generosity. Thanks so much for the easy directions! Very easy to follow, unlike some other websites that seem to have a lot of extraneous info. Love your site. Thanks for the easy letters for applique! I have 2 twin boys quilts to make in a day! They were born 2 months early and I'd like them to use them over their NICU isolette covers to identify the brothers, Collin and Evan. Thanks for the simple and EASY project. Love your choice of letters too. Do you have numbers also? Thanks for posting this . I am new to your blog but it rocks!!! Thanks for the awesome idea. I made a similar one, blogged about it and posted a link back here. Thanks so much for all the inspiration! These are great! Thanks for sharing your wonderful ideas with us. . . Can you please post a 'Z', my little girl would love one of these bags with her name. What a great idea!. I want to make my nieces and gransdon a bag with their initial. I think they would look good on throw pillows, pillowcases, or small personal quilts. I love all of your ideas. Thanks so much. What a cute tutorial. Is there any way I could get a V? Thanks. I really hate to ask, but I thought these would be cute done on pillow tops for ladies in my bible study.......and I am missing the W! I would certainly appreciate it. Thanks! I absolutley love your font!!!! Could you please add g and n for me? Thanks!!! Thank you very much for the idea! This such a great way to personalize anything, and very easily. I also like Tracey's idea about the zig zag stitch, this could add a really cute touch. FUN!!! we can put that on EVERYTHING!!! I just took an applique class! I would love it, if you could put up an I. My little girl, Isabella, needs one! I have been looking for letter templates to do this for a t-shirt for my daughter's swim team - these are perfect!! I still need a Y please. Love your website!!!! thank you thank you for all your ideas. i love you website and have gotten so many great ideas from it. i have been wanting some letter templates so this is great. i love that you are so willing to share your brilliant ideas with us. thank you thank you. This is great! I've made two tote bags for my daughter for two years of preschool and when she goes to Kindergarten, I want to fancy-up : ) a canvas tote bag for her. This will be perfect. Thanks for the idea. Oh these are great!I want to spell out my nieces entire name on a fabric backing and then frame it for her bedroom! I'd take a ' y ' when you get a chance... all the other letters are there already (maddy). Thanks for these clever ideas. It looks like you'll be doing the entire alphabet eventually -- tee hee -- but I'd like to request a "U" and an "R" for some projects I have in mind. Thanks for doing all the work and sharing it. I love this idea and see lots of applications (excuse the pun) for it. Nice job. Thanks for taking the time to share with us. HOW CUTE!!! I had no idea how to do that till now! Thank you! Very easy to do, I must try this for my daughter's jean purse I'm making for her birthday! Thanks for the idea! Cute, cute! A and E would be great :) Also, how did you sew all the way around w/o being able to turn the bag completely around at the bottom? Does that make sense? I guess I just need to try it....I've wanted to embellish my girls' jeans before, but just couldn't figure out how on earth I'd work with a skinny jean leg on the sewing machine when it was so narrow. The bag doesn't have an opening on the bottom so I'm not sure how I'd manage to sew all the way around so neatly, if at all...can you tell I'm a fairly novice sewer? Thanks! Thank you your things are wonderful, can we have a P? Looks absolutely darling! Also looks simple enough for me to try...I'm nervous about anything sewing related. Maybe I'll try! Thank you so much! I did my first applique right before Christmas and had the most difficult time finding a letter that I liked that wasn't too difficult to stitch around. Thanks for providing these! I will most definitely use them in the future. Ah, I think I can do this!! Loving it! I am so enjoying your site! We're moving back to a town that has Hobby Lobby, oh how I have missed that store! WalMart does still carry the bags and actually has a lot more choices than they used to. Hobby Lobby will also put their bags 1/2 off quite often. Would work on aprons too. LOVE< LOVE, LOVE this! I'm bookmarking this page for when I get time!! How about K and M? Wonderful! Could you post a D, J, & K please. I like your font and anytime you can cut your work (enen be a few minutes) it's a blessing. I love the material you use for the monogram! This is a cute project that I am sure my youngest daughter would love as well. It just may have to be a mommy and daughter weekend coming up. I love your cute project ideas, I would see myself spending some money at JoAnn's Fabric store after visiting your blog. I'd love to have the letters S and J please. E, J and K please!!! Love , love . love your blog. So many fabulous ideas and I use them all the time. I especially love your paper crafts and cones. How was this years Valentines party. I can't wait to see the pics! Cute stuff, as per usual! Thanks! I love your site! I have identical twin grandsons that are having their "1st" birthday party on Satureday. I was planning on making them inital t shirts so people can tell them apart. How lucky to pop in today and see this post! I would love the letter J for Jace, and a Q for Quinn! Thanks so much! Love this -- Could I have a T for my goddaugher and an E for my daughter. Thank you for sharing! BTW - I just LOVE your blog and have made SEVERAL ideas from your site! Love the bag! I also have some I purchased about a year ago. They were on clearence and I thought oh, I'll use this for something! I would like to get the letter L, if possible? Thanks! Wow I love all you great ideas! I'm not a crafty person, but I love to try! Thank you for all the ideas, and SIMPLE directions! I love reading your blog!!! I would love an H, L, and an O. Thank you again so much!!! Lovely and super easy project!!!! Love it! So cute! Really fresh and crisp. I love the dotted fabric! I've been going through a phase of personalizing things with embroidery, applique, and other methods (including some totes you can see on my blog!) so this one hits close to home. Thanks for sharing! Very cute! I'll take a letter M please! Love that font choice. I am not a seamstress BUT I do think I could tackle this project! You gave great directions and it seems pretty easy to do. I'd love to have A for Anna. Thanks for sharing. Fabulous idea! Love it! Thanks for sharing. Not to mention seemingly simple too! By the looks of it, I would say my oldest daughter (8) would be able to help with this project. Thanks for sharing it! Those look fun, and the best thing about buying something and then forgetting about it for years is that now it's stash, and using it has become a virtuous thing! I use a simple zig-zag stitch for appliques (I call it a cheater's satin stitch!) and it works beautifully, and even lasts through all the laundering that the item may have to endure. I do love the effect that the machine stitch offers, too! Thanks for sharing! Also, your readers will have a plethora of fonts if they just open up their Word program, type a letter, pick a font, enlarge the letter and print it out!